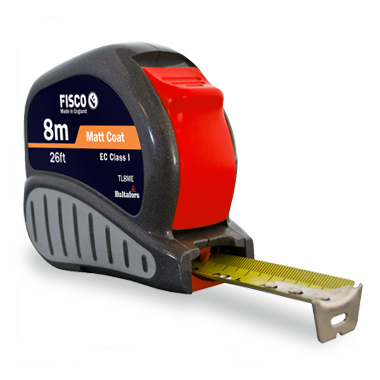 This exceptionally accurate, durable and reliable tape is ideal for the professional user. The blade is accurate to EC Class I and features a tough grey ABS case with a non-slip rubber grip pad. The easy-to-operate brake holds the blade securely at the desired length and the effective bump stop gives added blade and end-hook protection during use. Tough grey ABS case with non-slip rubber grip pad.